Northern Province Governor Dr Suren Raghavan has called for a complete report on state and private lands released by the security forces since the year 2009.
he has also called for the details of the resettled people in the lands, the housing schemes and other assistance provided for them. 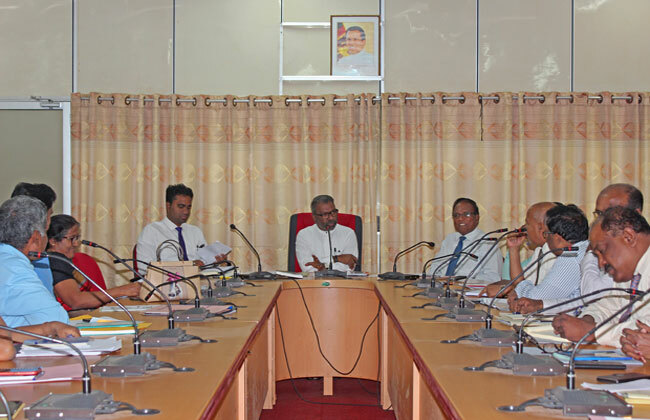 A meeting, headed by the Governor, was held with the District Secretaries and Divisional Secretaries of Northern Province at the Conference Hall of Jaffna Public Library yesterday (22). Reportedly, 98 percent of the lands owned by the security forces in North has already been released to the original owners. Meanwhile, Sri Lanka Army has released 54.38 acres of state and private lands under Wanni Security Forces Headquarters in Vavuniya district. An event in this regard, joined by the Northern Province Governor Dr Suren Raghavan, Army officials and the Vavuniya District Secretary I.M. Hanifa, was held at the Governor’s Secretariat yesterday (22). 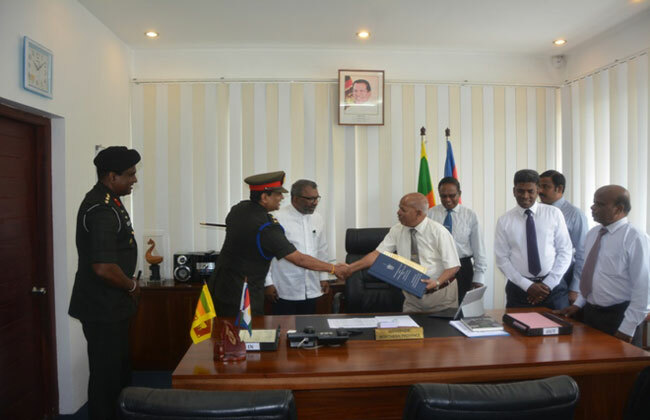 Major General Prabath Dematampitiya, General Officer Commander 56th Division representing Wanni Security Forces Headquarters has handed over the relevant documents to Governor Suren Raghavan. Accordingly, 40.74 acres of state land and 13.64 acres of private land under Wanni Security Forces Headquarters have been released at yesterday’s event. 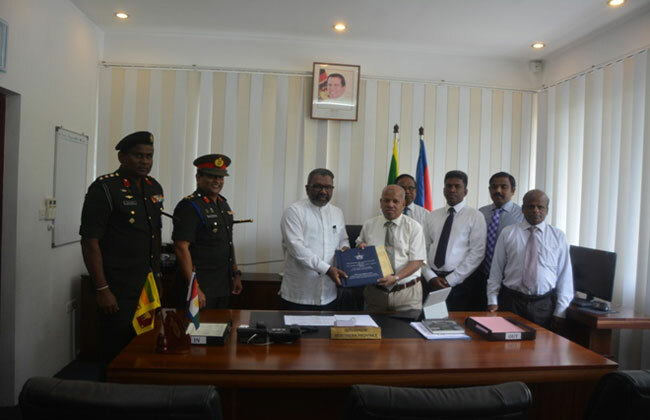 Under the orders of President Maithripala Sirisena, the Northern Province Governor is proceeding with the programme initiated to release the Army-occupied lands to the civilians.